FanFuga gives you, the fans, new ways to express support for your team by creating visual effects on your phone that are synchronised across the whole crowd. 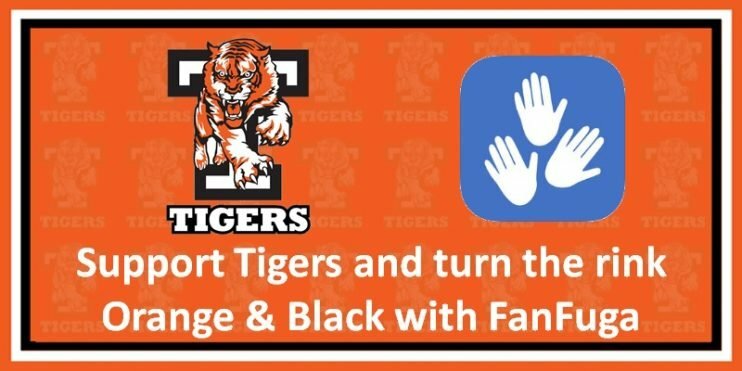 You can support your very own Tigers via the app, download either for Apple or Android phones, select Telford Tigers as “Your Team” and lets turn the rink orange and black! Watch the video below for examples of how to use the app and how the app synchronises across the crowd to produce stunning light shows. Why not try the app at the next home game, check out www.telfordtigers.com/fixtures for details.